BETTER CROPS MEANS BETTER INCOME. ONE NEIGHBOUR WAS ABLE TO BUY A COW. AND THAT MEANS MANURE, MILK, AND MUCH MORE! Dusabimana Vedaste, 44 years old, has been part of the FH program since 2011 and lives with his wife and six children, three of whom are in high school. “My skills as a farmer enabled me to provide for my family however the quality of seeds and climate unpredictability always limited the quantity of food I could produce. I was producing 8 Kgs of bananas before receiving support from FH." Vedaste continues, "After enrolling in FH’s program, I learned improved farming methods including use farm inputs, resting my land, mulching and using improved weather resistant seeds." But it wasn't just the training and Vedaste's hard work that made this grove go bananas. A little pink friend shared some of its, well, produce. 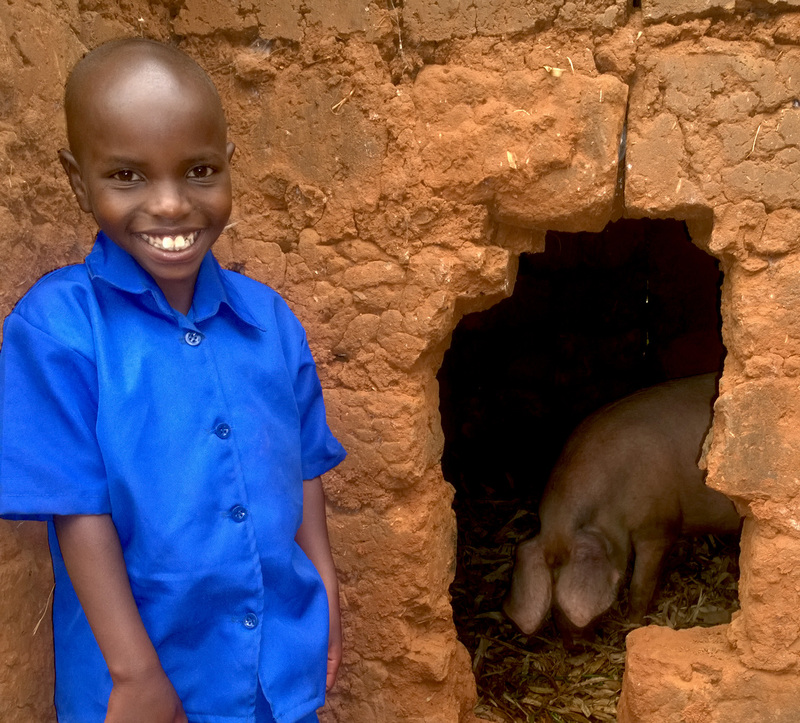 "I also received a pig under the same program which provides fertilizer for my banana plantation. 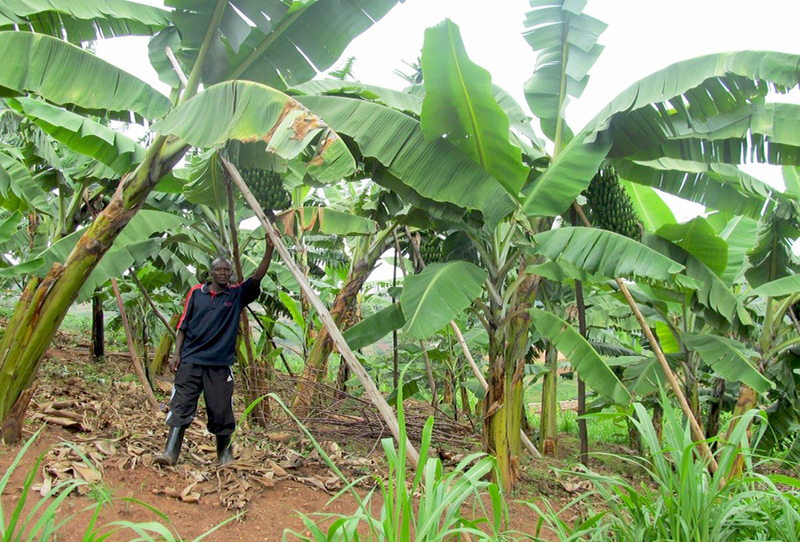 "I now harvest up to 80 kgs of bananas which allows me to have plenty to feed my household and sell off the excess at a profit. The pigs have also been a great complement to my income as I can sell piglets while I wait for the banana harvest. 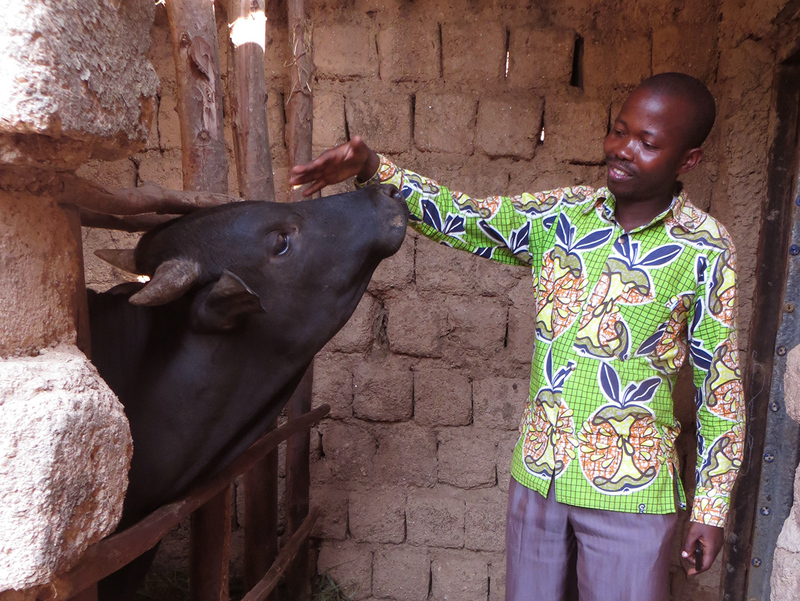 "My family now has food, medical insurance and my children can get school requirements without me depending on the FH education support.” says Dusabimana Vedaste. THE HILLSIDE COMMUNITIES IN RWANDA GROW LUSH CROPS WHEN PROPERLY TENDED. AND FEED THAN A COW, PRODUCE MORE OFFSPRING, AND STILL PROVIDE ENOUGH FERTILIZER FOR THE CROPS.